7 Factors to Determine Before you Book the Banquet Hall! Choosing a perfect venue for your events is no small feat! Whether it is your wedding, a birthday bash, a party or any other social event, a Banquet Hall is an ideal place for such grand affairs. And events such as Indian weddings, where you have hundreds of guests attending, proper preparations have to be kept in mind pertaining to the functions. You may wonder how you will choose the right hall. With so many options, it can be a tad difficult to choose the right one! So, there are a couple of things to keep in mind before you start hunting for a great banquet hall. 1. Accommodate the Guests Right! The area of the venue will be determined with the number of guests you are planning to host. Too small space will create chaos so you should select a spacious enough party hall to accommodate all your guests.2. Pay Attention to Interiors! Whatever the theme and style for the event, interiors are an important factor. Especially, when it comes to wedding hall booking, you simply cannot ignore it. 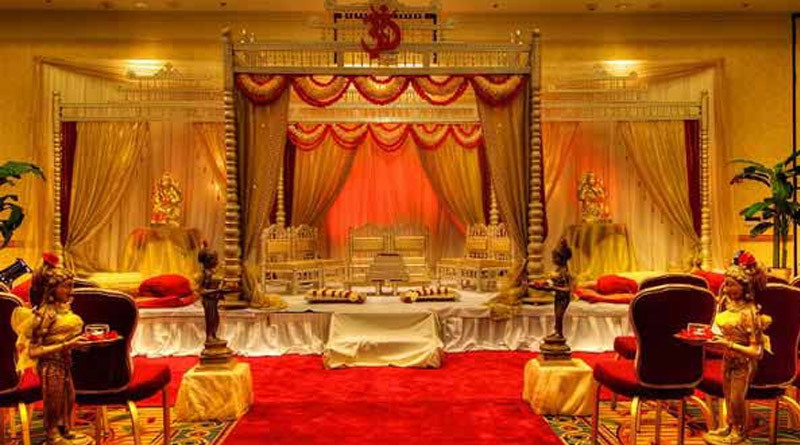 For instance, for a typical traditional wedding, the interiors would be in traditional hues. Wedding hall decorations appeal to a great extent. Add on like flowers and wall art look beautiful. 3. Facilities make all the Difference! Owing to a large number of guests and a successful event, more facilities mean less the effort. It reduces the major workload at the party halls. Facilities like in house caterers for the last minute bookings, proper parking space, audiovisual setup, table chairs, working air conditioners should be perfect at the day of your event. 4. Perfect Catering is a Must! While choosing the hall for rent, you should not overlook the catering services. Be it bouquet hall or a hotel banquet hall, the menu should have a variety of lip smacking options. Also, you can choose from buffet style option or special separate table arrangement. 5. Ease of Locating the Venue! The location is a prime factor; it should be easily accessible. With crazy traffic, a location too isolated would kill the zeal before your gusts even reach the function hall. Make sure that proper facilities for commuting are provided so that they can reach on time. 6. Budget Consideration is Vital! Make sure you have allocated a separate budget for your wedding hall. It is not necessary that a hall with complete facilities will be expensive. There are many venues at reasonable rates. 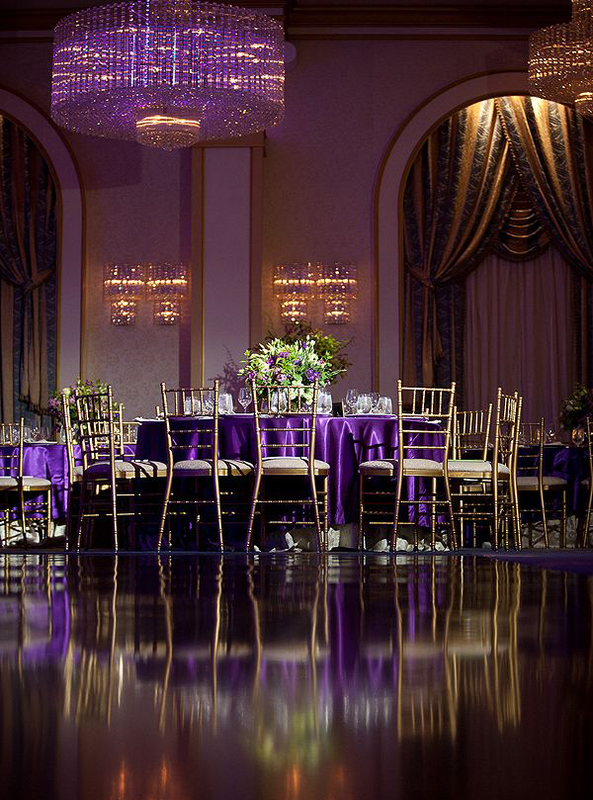 All you need to do is to find out banquet hall prices. Search your dream venue which suits your pocket too. 7. Let Security Add more Joy! It is important to maintain the safety of your guests. Check the wedding hall plan carefully so that you should not regret later. A tight security measure helps to deal with any potential situations during the event and blending in the function environment. Make your event special. It is better to inspect the venue yourself for your own peace of mind! ← How to perform a Traditional Hindu Wedding? © 2018 hitchedforever.com. All right reserved.